“I am very excited to see and learn Indian Culture and also put mehndi on my hands. I always listen about the rich culture in the country and now finally able to meet people from various cultures during my summer schooling programme here,” said Dorota Sarzabek one of the students from Poland visits Parul university under international exchange programme. Dorota is among the group of 18 students from four European universities come here in Indian Summer School program covering courses including social work, computer science and exploring Indian culture. “The visiting students along with the our university students will part of the special programmes under the course where the motive is to give a insight about Indian perspective of education. In social work they will be visiting the villages, interact with the people, meeting NGO’s and get the hand on experience,” said Dr. Devanshu Patel President Parul University. Featuring a unique blend of 18 students from 4 European Universities and 8 faculties from 6 of the most premium Universities all representing 5 countries. 12 students from Parul University’s long standing Swiss partner Bern University of Applied Sciences along with 2 students from HES-So Fribourg University, Switzerland will be pursuing a short course in Rural Development, Corporate Social Responsible and an Introduction to NGOs. This marks as a turning point in the exchange programs offered by the University, affirming the quality of education not only in technical fields but also extending to humanities. 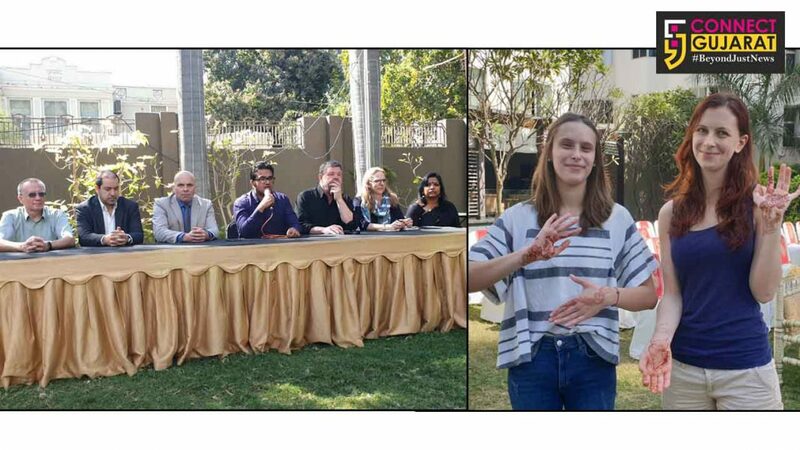 Running parallel to the Swiss program, 2 students from from the Wroclaw University of Science and Technology Poland, will be studying Indian culture, cross cultural communication, yoga and cooking. Along with an additional 2 students from Saint Petersburg National Research University, Russia who will be studying a 2 week program in Internet of things under Parul University’s Faculty of Computer Science and engineering. “We came here for the first time and our students will learn the various aspects of social work in Indian perspective. Subjects like migrants, role of Indian economy in CSR and HR are rhe subjects our students will look up to. The rich cultural exchange and understanding each other and work with different communities are some of the things the students will learn as it is part of their curriculum and they will prepare a project and submit it in their universities,” said Eveline Ammann Dula from Bern University of Applied Sciences. The students will visit the villages like Limda, Ishwarpura, Kamlapura and others where they will interact with the sarpanch, villagers and women to know the system. They will also visit the schools, Primary Health Centers and understand the local perspective and the government role in economy. The visit to NGO’s like Goraj and one in Tarsali area help them know the functioning and other things. Apart from the courses in social work and computer science the students are also get to know the Indian culture by participating in programmes and sessions. From theoretical knowledge about Indian constitution, politics and other subjects they will also able to learn music, dance, mehndi and clay modelling like sessions. “It’s a nice opportunity for me to learn the rich Indian culture which I learn in books. Iam very excited to know the culture and even learn Hindi and put mehndi on my hands to feel like in India. We also attend yoga sessions and never left any chance to know the people and culture during the stay here,” said Dorota along with her friend Anna Zimkowska from Poland. Beyond the student exchange programs, the summer school program features an exchange of faculties, where 4 faculties from Bern University of Applied Sciences.1 Faculty from HES-So Fribourg University, along with Dr Miguel Amaral from the lnstituto Superior Técnico Universidade de Lisboa, Portugal who will be conducting lecture series on the topics Innovation & Entrepreneurship. In addition to these faculties, Prof Jan Vlachy from Czech Technical University will also be taking part in the visiting scholar program. The faculties will be conducting a series of lectures for the students of Parul University. “The continuous growth in the exchange programs offered by the University, has been centred on cementing the relations of Parul University and its partner Universities, while at the same time providing our students with global opportunities and an international experience In the comfort of their classroom” said Dr. Devanshu Patel. Next articleDeposits in Jan Dhan account set to cross Rupee 90,000 Cr.